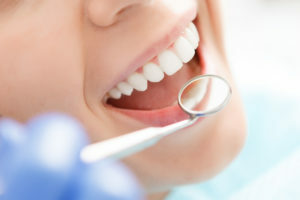 Cosmetic dentistry is a specialty that requires at least three things from the dentist: extensive experience, an artistic touch, and the ability to integrate each patient’s needs and desires as a guiding principle of the treatment plan. Excelling in all of the above, Dr. Nelson Y. Howard is a national leader in the field of cosmetic dentistry. His recent article published in aesthetic advances, “Considerations for treating transgender patients” (April 2018), details the need to consider the differences in anterior teeth between men and women. This publication is one of many articles from Dr. Howard — he continues to lead the pack in the field of cosmetic dentistry! A smile is worth a lot. While you may not realize it, there are distinct features that signal differences between a man and a woman’s smile. No matter what stage of transition trans patients are in, they can feel welcome, cared for, and optimistic when they visit Dr. Howard for their smile transformation. Choosing a dentist who is well aware of the importance of these differences can make all the difference in the end result of a cosmetic transformation. He firmly believes any level of bias from a dental professional — from the dentist to the assistants, hygienists, and all support staff — would be completely unacceptable. Patients of all ages and stages of life can feel completely comfortable visiting this dental team for a wide range of dental services. If you are interested in visiting a caring, compassionate cosmetic dentist, don’t hesitate to get in touch with Dr. Howard and his team. They provide a range of valuable services for patients in and around San Diego and San Marcos. Go ahead and contact the “dentist near me” you are searching for through his website today.